Back in the days when the Sony Walkman was popular, or even when the first iPod was released, faulty or broken Headphones were more an annoyance than a problem. The little ear buds were cheap enough and you could replace them from a rack at the drug store or the supermarket checkout. However, serious music listeners like yourself soon wanted a better audio experience, so companies like Panasonic, Bose and Beats by Dre started selling vastly improved headphones for hundreds of dollars a set. Now headphones are not so easily disposable. You want those headphones repaired and that is what Computer Answers does. The problem is that although the audio quality of headphones has improved, because customers want lightness as a feature, headphones are notoriously prone to damage. Wires become frayed, internal speakers short out from exposure to water, head straps snap and jacks become corroded or worn. Why Choose Us For Your Headphone Repair Repair? 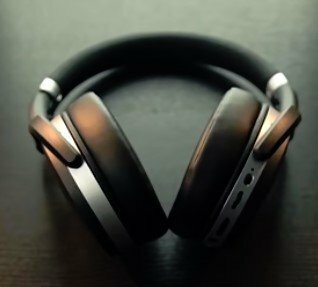 Computer Answers will diagnose the problem with your headphones, even if it is not readily visible, free. We will do this quickly, while you wait, when you bring your headphones into any of our five locations. Walk-ins are always welcome. Our service centers are located in the Albany/Schenectady area and also in Brooklyn. If that is not feasible, we can arrange shipping or pick-up for you. Call us Toll Free at 866-488-2806 or use our Contact Form. Tell us as much as you reasonably can about what the problem is with your headphones, particularly if you are unable to bring it in to one of our Computer Answers service centers. We’ll get you back listening to your favorite songs quickly. The jack, the small plug-in that connects your headphones to your Smartphone, iPod or computer, often is the source of the problem. Because of the delicacy of the internal wiring, it is best to have a technician do the replacement of a faulty jack. Computer Answers has all the parts at the ready so you can be back on your way in minutes. Speakers can malfunction for a variety of reasons: rough handling, water damage, or the accumulation of dust or sand. Depending on the actual cause, Computer Answers can either clean and repair your damaged speaker, or replace it. If you have become tired of having to get your cable replaced or repaired, you may well want to consider an upgrade replacement. Many of the most popular high-end headphones will accept a more rugged, durable, yet still lightweight connector cable. Drop in or call Computer Answers and ask us about this solution. The wiring within headphones is thin and only protected by narrow strips of tubing and plastic. At Computer Answers, we have the multimeter and other analytic devices at hand to locate the problem and fix it within he time it would take to listen to one of your favorite tunes. If your headphones are connected to your device by Bluetooth or Wifi, you may be experiencing signal drops or an inability to connect. You may be having an issue with your internal antenna. Computer Answers is familiar with that issue and we can get it corrected. If the problem is at the source end (your Smartphone or your tablet for instance) it would be wise to bring that device into our service center at the same time. If you can dream it, we can build it here at Computer Answers. If you have been dreaming of mod’ing your favorite headphones, but don’t even know which site of a soldering iron is hot? We can help. Just let us know what you’re looking to do and we can discus the options and cost.